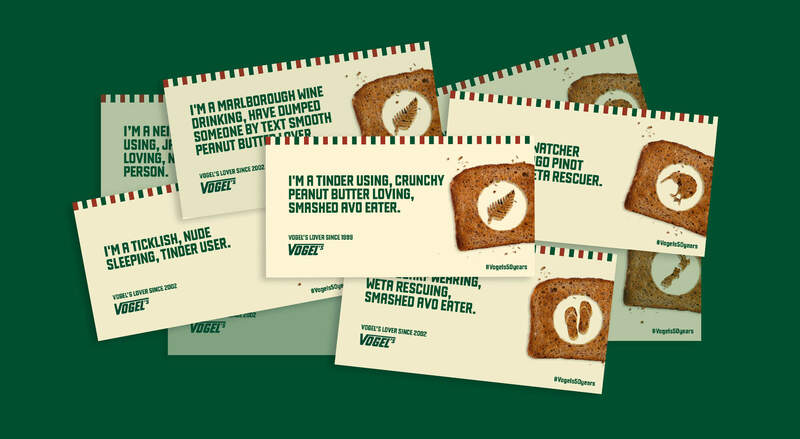 New Zealanders have always proudly proclaimed their love for Vogel’s. 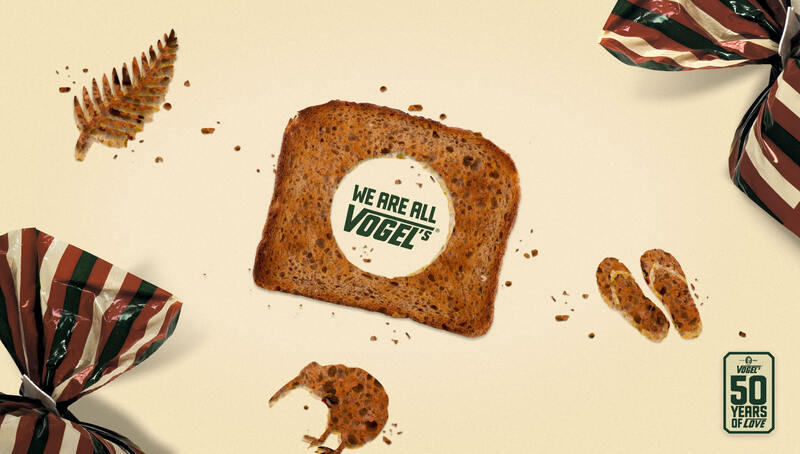 So to celebrate Vogel’s 50th anniversary we wanted to find out some of the other things that unite us. Discover all the things that unite New Zealanders in 2017. 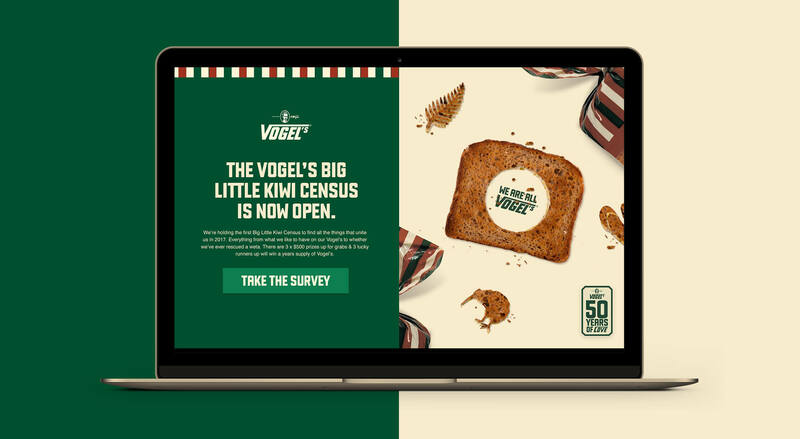 We created a website that housed the first Big Little Kiwi Census. 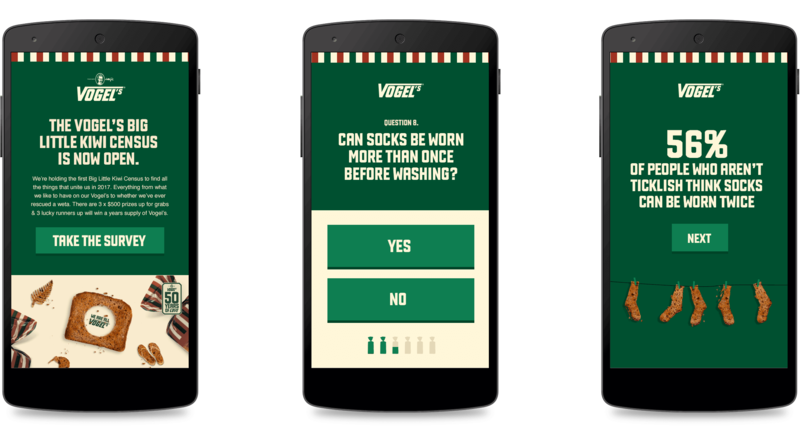 Vogel’s lovers answered a series of fun questions in exchange for a chance to win cash prizes a year’s worth of Vogel’s. The questions ranged from what people like to have on their toast through to whether they had ever rescued a weta. The campaign was supported through Facebook, native advertising and some above the line work all pointing people to participate in the census. People loved the Vogel’s census so much that if you added up all the time they spent on the site (from only unique users) it would total 110 days.